“Untitled (Alexis Bittar)“, 2013 © the artist, Courtesy Andrew Kreps Gallery, New York & Capitain Petzel, Berlin. Roe Ethridge, Sacrifice Your Body, at Capitain Petzel, Berlin, Feb 1-March 8, 2014. Located amongst the monumental GDR architecture on Karl-Marx-Allee in Berlin’s district of Mitte is the East German modernist glass building that gallery Capitain Petzel is housed in. Capitain Petzel is presenting an exhibition of American photographer Roe Ethridge’s (1969) new body of work Sacrifice Your Body (2014) in parallel with the same show installed at Andrew Kreps Gallery in New York. The exhibition is a selection of the work from the book with the same name, Sacrifice Your Body (2014), published by MACK Books, London. 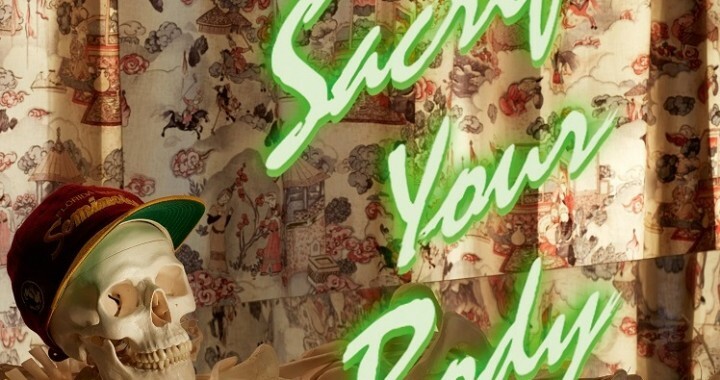 Sacrifice Your Body is explores the relationship between Ethridge and his mother. The book is divided into part 1 and part 2. The first part consists of photographic documentation made in and around the area of western Palm Beach County, Florida, where his mother lives. A chronologically ordered sequence of snaps taken from a rented Durango SUV (with the last photograph being the accidental drowning of this). The second part is additional work that Ethridge selected and made in response to the ‘theme’, the constructed part, with re-vamped editorials, collages, and still lifes. “Chanel No.5 with Yellow Jacket“, 2009 – 2013 © the artist, Courtesy Andrew Kreps Gallery, New York & Capitain Petzel, Berlin. In the exhibition, Ethridge’s low key snaps are interwoven with the more elaborate pieces. Each photograph is either telling a story on its own or links to others in order to add to the overall experience of Ethridge’s suburbia. When walking in to this bright, white, space, Chanel no. 5 with Yellow Jacket, 2009-2013, is hanging on the right hand side introducing the exhibition with a ‘typical’ Ethridge piece. 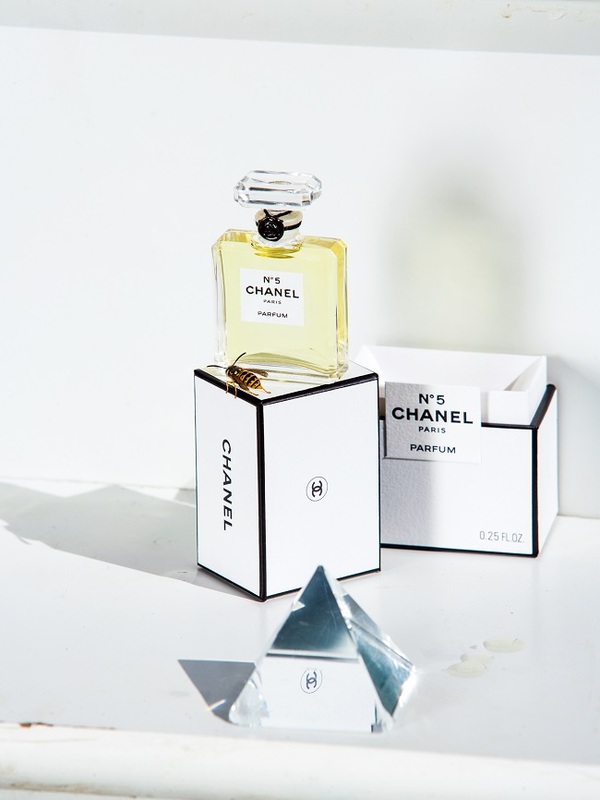 What would have been a conventional still life editorial of Chanel’s No.5 is impacted by a wasp that sits in the center of the image and immediately disturbs the otherwise perfect, plastic, surface with its very ‘real’ presence. The next photograph that caught my attention was Untitled (Alexis Bittar), 2013. The carefully composed photograph might as well have been a film still from a 70’s movie set. The magenta hues give away different shades of tacky lilac and the main character, an upper middle class housewife, impassively gazing out from her floral curtains, wearing her heavily oversized jewelry like chains around her fake nail clad fingers. This cinematic image seems to be at once depicting the plastic and constructed of American life, as well as the plastic and constructed life of photography. It’s not Ethridge’s own mother – it is the suburban mother of America. The various images are tied to each other – whether it be through style, story, or meaning. The collage of pale yellow screw-shaped instant noodles, Double Ramen, 2013, are visually connected to the pale yellow cable in Yellow Phone, 2013. Despite the varied range of works sharing the same space, it never feels messy or incoherent. Hilary with Footballs, 2013 and Hilary with Footballs (big), 2013 are hanging besides each other. From a distance it looks as if they are the same photograph. Going closer you notice that they actually are the same photograph, only that the latter is enlarged, cropped to the same size as the former. Hilary, who’s holding a football in her right hand, is clearly ‘photoshopped’ onto the background of football patterned wallpaper. Ethridge has purposefully not corrected the traces of the rough edit. The larger version allows us to inspect this open wound closer. The diptych Flounder, 2013 is consisting of two photographs of the same head of a flounder dead on a marble surface. The grotty colours blend into each other. Again, one is enlarged. Why he this time chose to call this particular set, and not the other a diptych, I know not. I guess it is part of the play. So though the content of this image is completely different to the previous set, the edit is the same. Sacrifice Your Body, 2013 is playfully consisting of a skeleton wearing a football cap, and referring to encouraging shouts from mothers at the football games. Written with green neon led-light letters, this mantra is lending itself to both the title of the exhibition and the book. A pixely iPhone snap, Stop Light, 2013, is hung besides a technically flawless editorial, Gisele on Phone, 2013. If I initially felt that the exhibition was quite modest with only 17 photographs exhibited, I changed my mind when looking more closely at the works and making connections between them. The colour C-type prints are hung in same-sized white wooden frames, either landscape or portrait. It is about American suburbia. Mothers. Football. Noodles. Adolescence. Neon signs. Plastic. Stagnation. Banalities. Fascination. Claustrophobia. Undefined places. Spaces. Anywhere. Coordinated by colour, layout, subject matter, style, or shapes. The titles to the photographs are simply, literally, describing the content. And there’s no hierarchy between high and low. Having made commercial work for clients such as Comme des Garcon and Balenciaga, and being published in the New Yorker, Artforum, and Wired, as well as exhibited in the Museum of Modern Art, New York, and Tate Modern, London to name only a few, Ethridge is a leading figure in contemporary photography. He has developed a distinct style in his photography over the last decades. No matter whether he is creating high fashion editorials for the worlds leading designer brands, or if he making a low key personal project made for a book or the gallery wall, the key elements of almost literary storytelling and unexpected details are most often present. The notion of a ‘fugue’ state, a leading word to describe his works, apply to this body of work as well, but in addition, he’s exploring new techniques of working, comprising and exhibiting work in a more diaristic manner. Sacrifice your Body is conceptually and visually complex, interesting, and intelligent. Posted in Exhibitions, Reviews and tagged Archive Highlights, Exhibition Review, Roe Ethridge.